Summer. We spend so much time outside and in the garden that we’ve been a little lax on our experiments so here we go. Place glasses on a each paper towel. 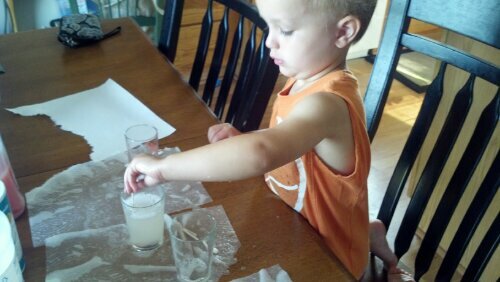 In one glass mix soapy water. In another mix salt and vinegar. 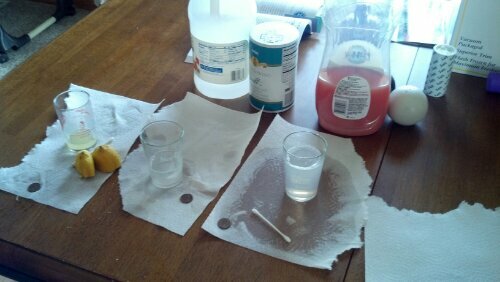 In the third glass squeeze lemon juice. Drop a dirty penny in each glass. 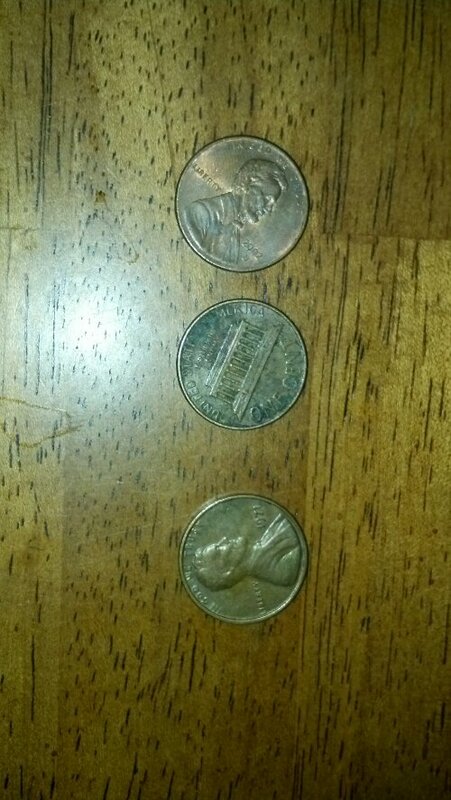 As you may have guessed, the middle penny is the one that soaked in the vinegar/ salt solution. And, when I asked Joe which was the shiniest, he picked it out after a few seconds of careful consideration. 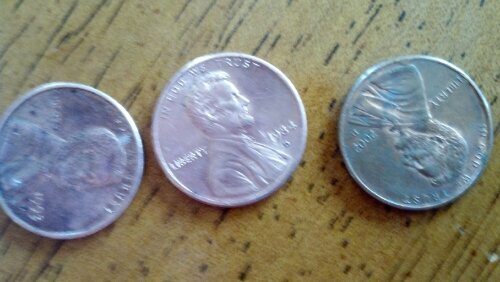 The other two were slightly shinier, but not near as shiny as the vinegar/salt soaked penny. I explained to Joe that this was because the vinegar and salt caused a chemical reaction that dissolves the copper oxide or dark gunk on the penny. Yes, gunk is a technical term. 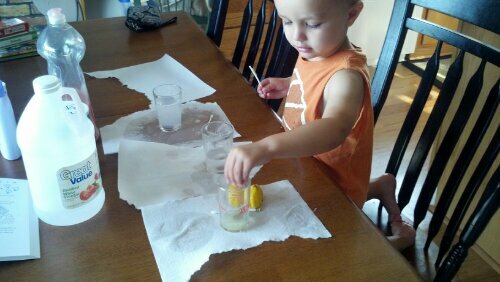 Joe had already moved on to dumping and pouring and making a mess. At least my table will be clean now. A fun time was had by all. Even Jacob had fun…playing in his bouncer.